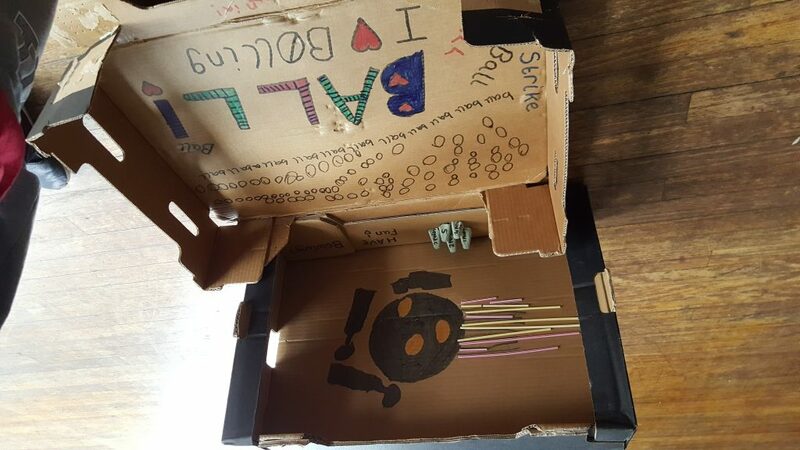 Cardboard Arcade: game building with scrap materials. 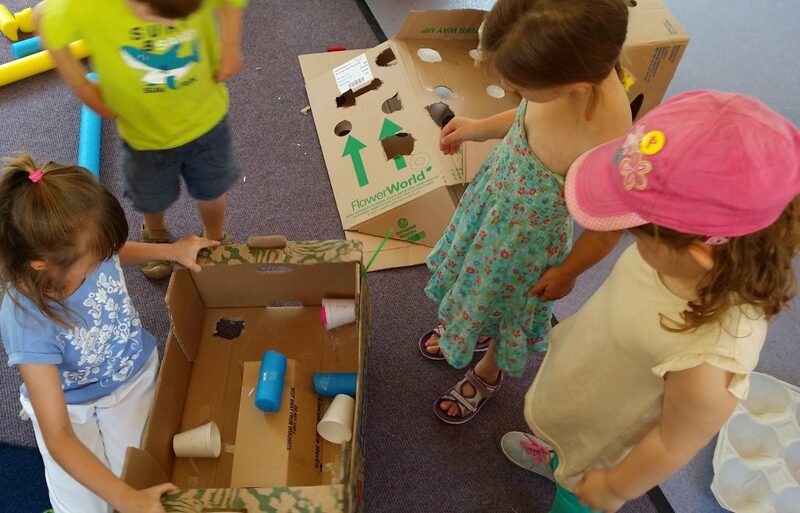 An engaging design, build and play activity suitable for groups of all ages. 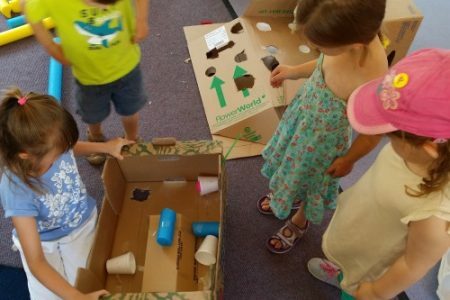 Unleash your creativity, making arcade games out of junk and cardboard. 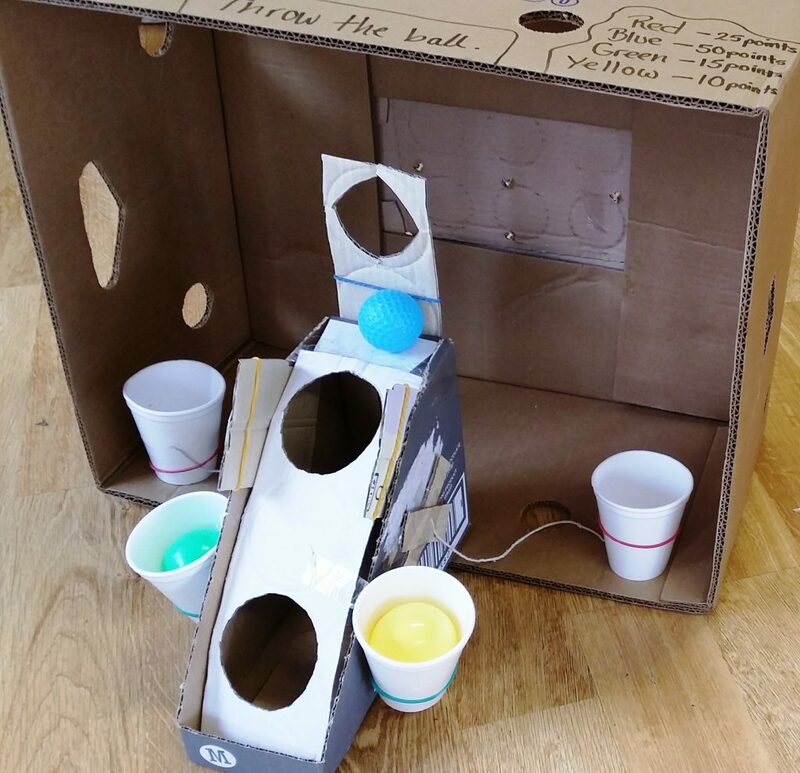 Roll, blow, throw, hit, balance and manoeuvre ball through mazes, courses, into cups, avoiding the holes, jumping the obstacles, beating your opponents or the clock to win points. 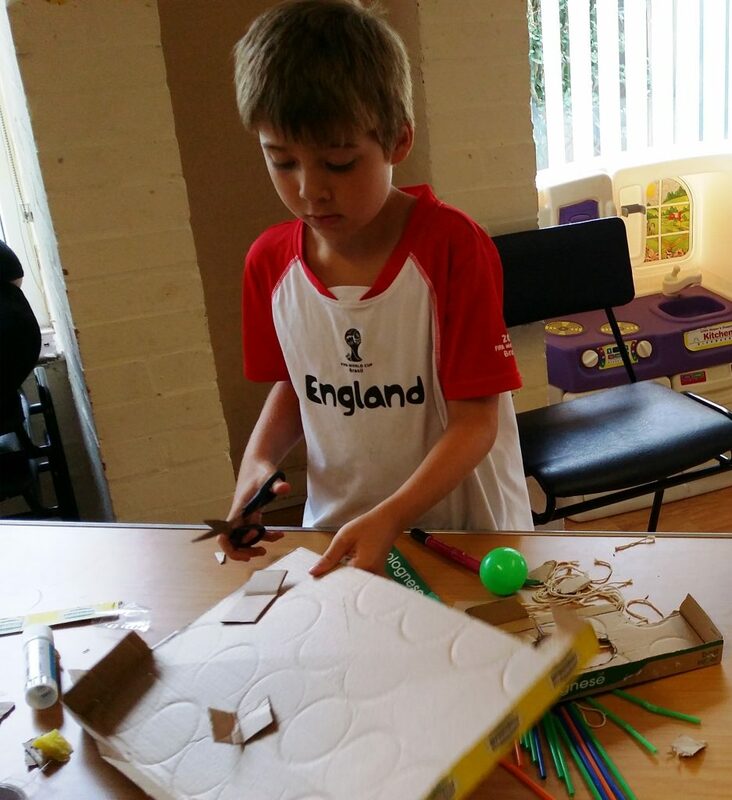 A powerful confidence and social skills development one-off or series of workshops. 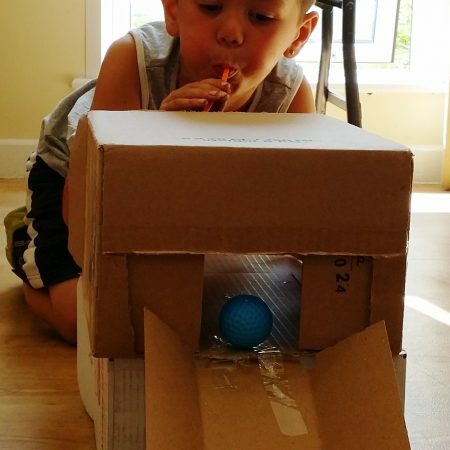 Learn how to design and create amazing games out of cardboard that can be adapted and used again and again. 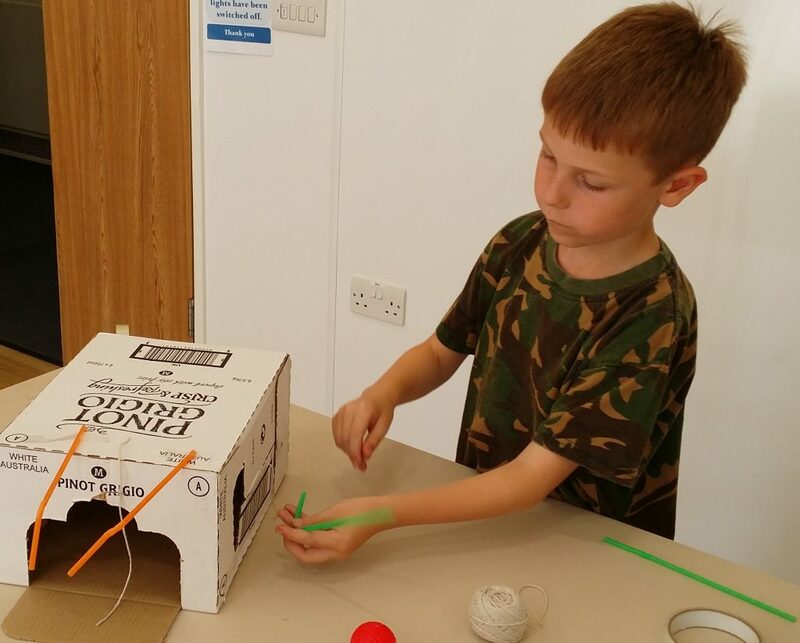 Learn techniques for sturdy game construction using just junk, sticky tape, glue, string, elastic bands, carrier bags, paper and scissors. 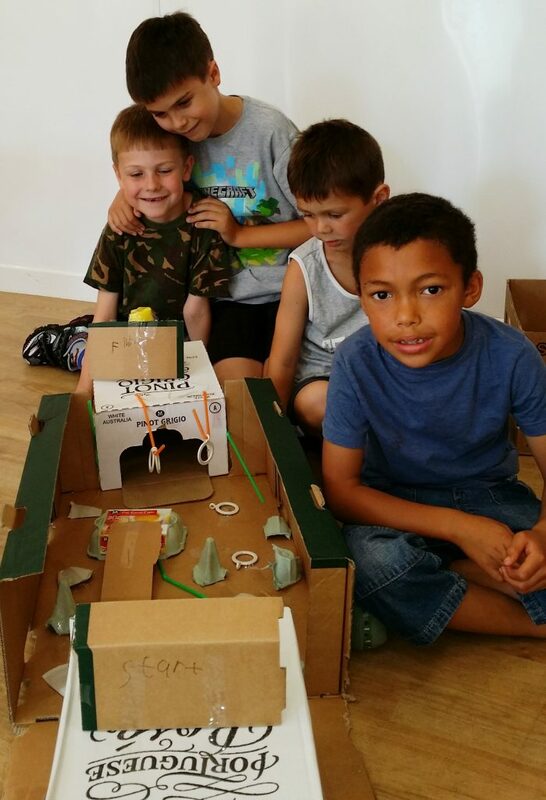 Once participants have built, tested and refined their creations, the whole group can then create and set up an arcade-style space from all participants' finished games, inviting others to play, win points, coupons or tickets which can be linked to other activities and reward systems. 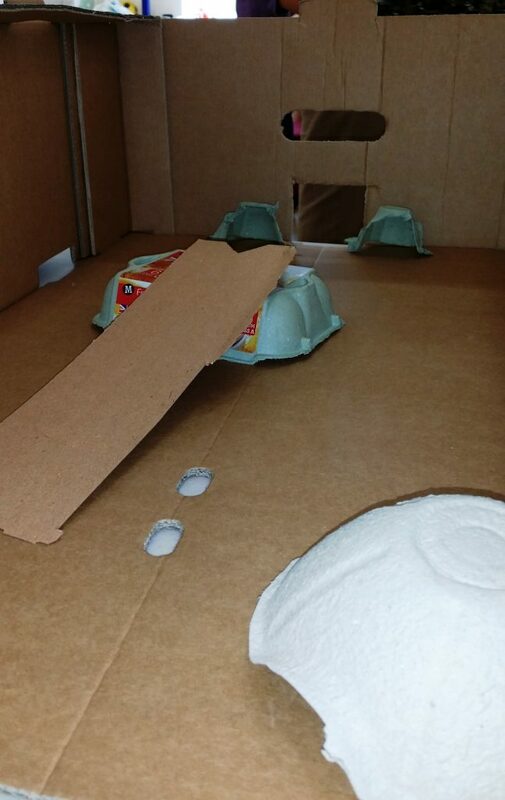 Participants learn to test and adapt their ideas, problem solving in real-time using the useful transferable skills associated with trial and error. 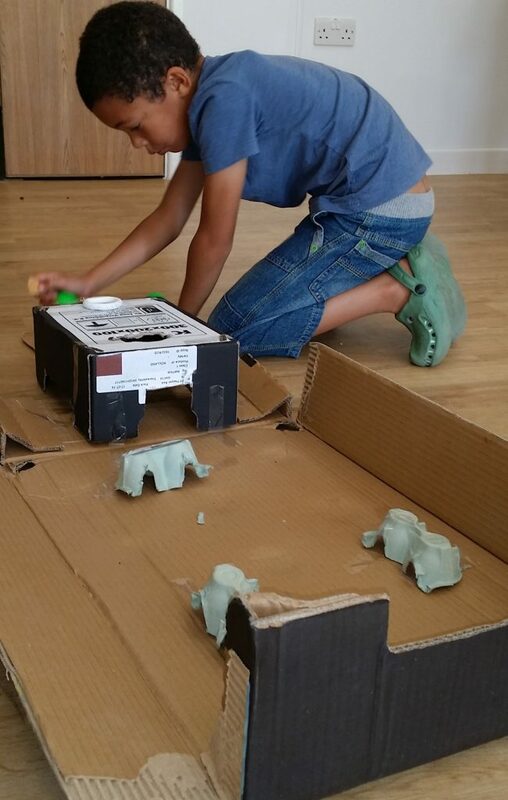 They are encouraged to look for ways of improving their initial ideas and designs resulting in a finished product worthy of a great sense of achievement. 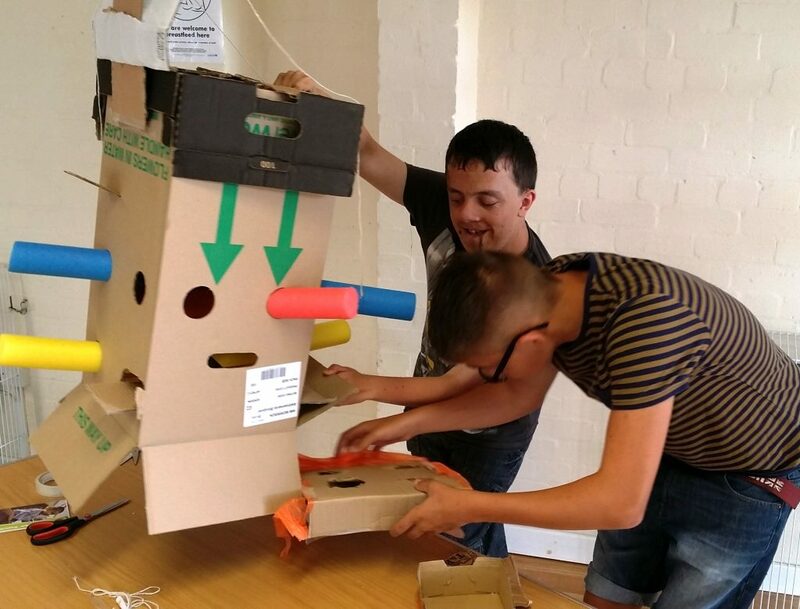 Workshops are suitable children, team-building adult sessions, families working together or as part a training package for childcare and education staff. 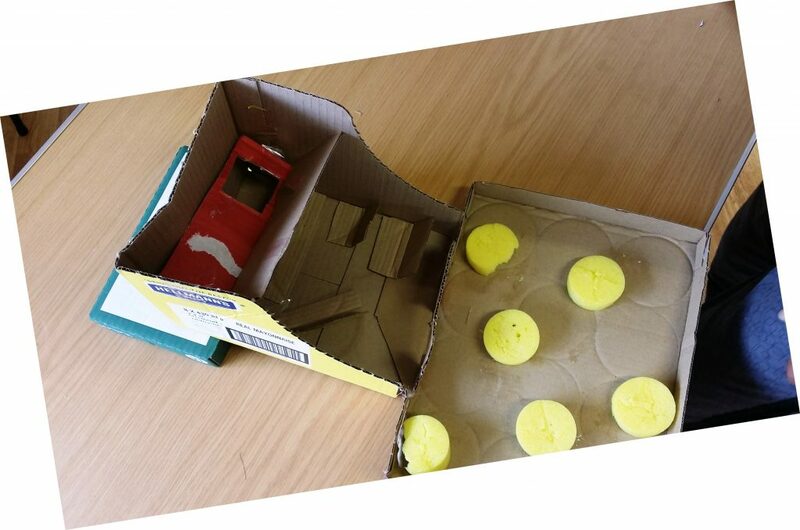 Previous clients include Wiltshire Council, Bright Horizons Childcare Workforce Development, Bristol Council, Bath Council, Neston Primary School and Wider World Educational Charity. A classroom, hall or medium to large space is required with tables.